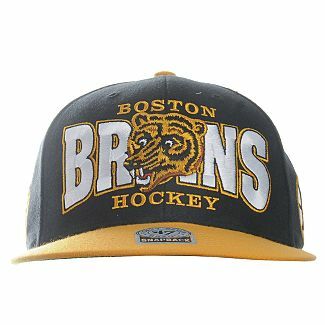 This men's official black NHL snapback fastening cap for the Boston Bruins comes in a contrasting colourway. It features a flat peak, an embroidered team logo on the front and a brand insignia on the side. 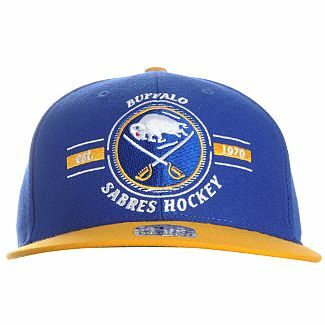 This men's official Vintage NHL Buffalo Sabres cap comes with a snapback fastening in a contrasting design . It features a flat peak, embroidered team branding on the front and embroidered air holes. 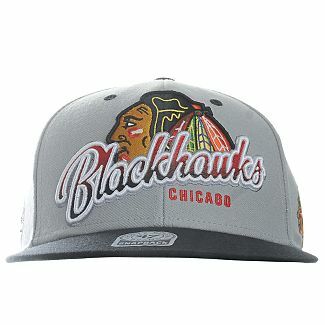 This men's official NHL snapback fastening cap for the Chicago Blackhawks comes in a contrasting grey and black colourway. It features a flat peak, an embroidered brand logo on the front and a further brand insignia on the side. 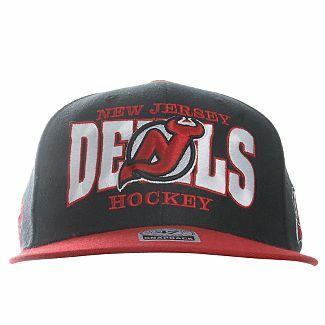 This men's official NHL snapback fastening cap for the New Jersey Devils comes in a contrasting red and black colourway. It features a flat peak, an embroidered team logo on the front and a brand insignia on the side. 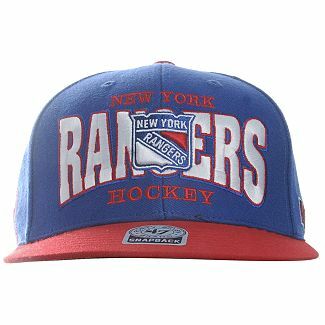 This men's official NHL snapback fastening cap for the New York Rangers is from 47 Brand and comes in a contrasting blue and red colourway. It features a flat peak, an embroidered team logo on the front and a brand insignia on the side. 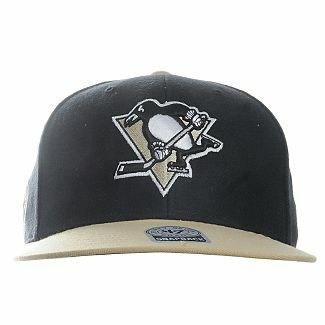 This men's official NHL snapback fastening cap in black for the Pittsburgh Penguins comes in a contrasting colourway. It features a flat peak, an embroidered team logo on the front and brand insignia on the side. 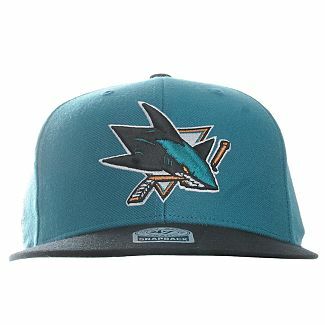 This men's official NHL snapback fastening cap for the San Jose Sharks comes in a contrasting turquoise and black colourway. It features a flat peak, an embroidered team name across the back with a team logo on the front and brand insignia at the side.